If dogs are your best friends, then you definitely need to feed your best friend the right and safe food. 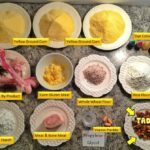 Usually, new dog owners are clueless when it comes to knowing which food suits your pet dog the best way. Indeed, like any other living creature, dogs demand certain essential ingredients to keep them active and healthy. 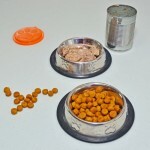 Therefore, as a dog owner, you should be aware what to feed and what not to! Chicken, turkey, beef, and vegetables: no, these are not exclusively ‘people food’. In recent times, it has been suggested by the vets and other experts that dogs require these nutritional food items which allows them to develop their physical strength and senses. Therefore, feed them with the necessary food components! Recent studies have revealed that real meat is the best food for your dog; nothing else even comes close! But not just “muscle” meat, mind you, your dog also needs organ meat and bone! So be sure to include meat options in your dog’s diet! Sadly, multinationals have mischievously planted the idea in the public’s mind that canned foods are good for your dog! Promoted by multi-billion dollar advertisement campaigns, these pet foods have imparted the wrong kind of information. Most of these canned foods have been found to be void of any nutritional value and is even considered ‘poison’ for your pet! Too much of sugary food items may lead to obesity in dogs. On the other hand, just like humans, sweet and sugary foods also cause dental problems, and in worse cases possibly diabetes mellitus as well. 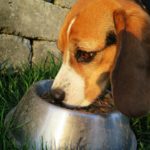 As always, feeding your pet dogs with alcoholic beverages will lead not only to intoxication, but also low blood pressure, coma and even death. Similarly, cigarettes or hookahs are also detrimental for your pet dogs, damaging their nervous and digestive systems! 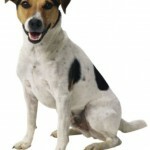 The diet of your dog inevitably determines its life and health. What most pet owners forget is that dogs are living creatures whose internal systems are as delicate and precious as any other being. Feeding them the right item will enhance their playfulness and activity; thus nurture your friend and your friend wont’s disappoint you!